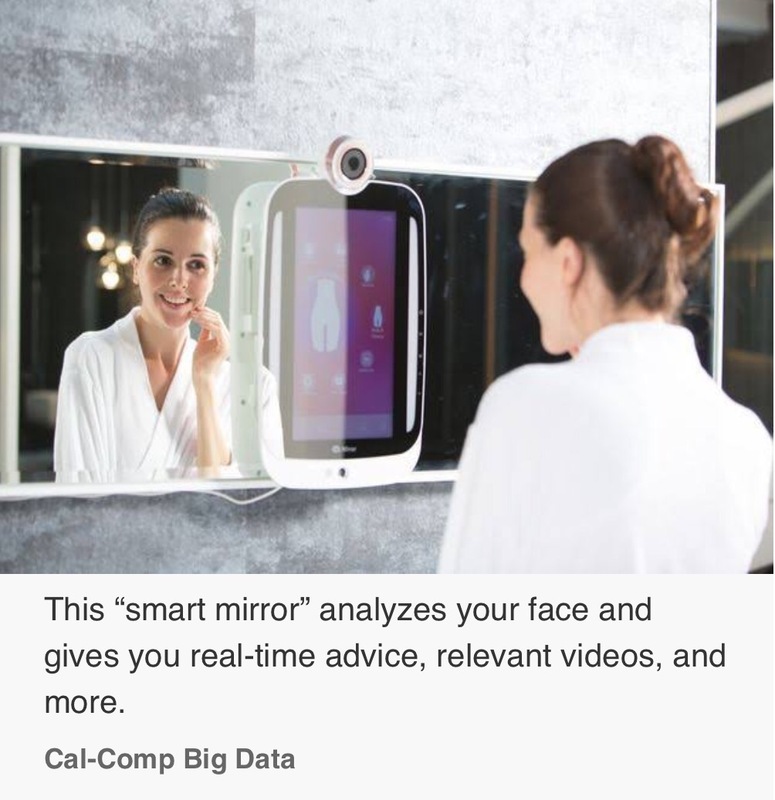 Ladies, start your charge cards – just when you thought you had smart-everything: from your phone, tv, thermostat, home speakers, smoke detectors, fridge, well, everything… now there’s a smart makeup mirror. This smart mirror features settings that allow you to simulate the lighting scenarios you’ll be in (office, evening, daytime, etc) for specific make up application needs. Love that! Skin analysis (fine lines, discoloration etc) keeps you aware so you can treat your skin proactively – and stat on top of your game. From my perspective, it seems like the storage of old photos and developments might help you recognize if a questionable spot is new or changing. Who knows, if you see something that wasn’t there before (for example), it might trigger you to call your dermatologist for expert analysis. Is this good for the psyche? Plain old magnifying mirrors are notorious for causing the most beautiful women to freak out and run into their doctors’ offices for Botox, laser, you-name-it, to treat tiny ‘imperfections’ they see on the mag-setting at home. While Botox and laser of course have their benefits, it’s the freak-out state that could be caused by constant reminders and updates on your new age spot could cause insecurity like, on a daily basis. This would be a definite CON. Omg, why do we need YouTube DIY’s playing in our mirror?? Granted, there are a lot of jems and pearls of knowledge out there on good old YouTube. But it’s also very diluted and there is a whole lot of junk. The last thing I would want is for this to be playing at me in my bathroom while I’m getting ready. I can’t imagine my smart, well informed patients and clients doing the same, either. Is it a perfect new edition to the slew of tech products already on your home wifi network, or just way too much media? I’ll be interested to see what else we can ‘stay connected with’ as more new products make their way to the market.